BAMAKO, – The ravages of Mali’s conflict, which paralysed education for almost two years, have disrupted the start of a new school year in the country’s north, where damaged schools, staff shortages and insecurity have set back learning. Schools reopened across Mali in October. The government and the UN Children’s Fund (UNICEF) launched a back-to-school campaign to help 500,000 children and 9,000 teachers restart schooling. Bamako also set up ascheme to pay civil servants to return to the country’s north. Northern Mali was overrun by Islamist militants and separatist rebels after the government was overthrown in Bamako in March 2012. The Islamists, who imposed a harsh form of Islamic law, were dislodged by French forces in January. However, security is yet to fully return to the region. “Despite the measures taken by the government, many teachers have not yet resumed duty in Timbuktu,” said Mody Abdoulaye Cissé, the Timbuktu education director. He explained that some teachers considered the US$500 government incentive to return to the north too small and felt that it was still unsafe to go back to the region. “It’s not only a question of money. It’s a matter of life too. Everybody knows that the conflict is not over and there are suicide attackers everywhere. The government is putting the lives of teachers and pupils in danger by opening schools under such conditions. That is why I have decided not to return for the moment,” said Sekou Sala Koné, a teacher in Timbuktu who is currently living in Bamako. The conflict and the food crisis that hit the Sahel region in 2011-2012 kept some 800,000 Malian children out of school for two years, according to the education department. Even before the conflict, education levels in Mali were already low, with an estimated 1.2 million school-age children, most of them girls, not attending school. “The major problem is that too many children have lost two years of schooling. This can have a carry-on impact of discouraging children from returning to school,” David Gressly, the UN deputy representative in Mali and the humanitarian coordinator, told IRIN. With the start of the new school year, learning in Timbuktu Region has resumed without severe disruptions. However, Mohamed Lamine, whose children just returned to school, said the lack of teachers has forced double shifts while the academic calendar has been skewed. In the northern city of Gao, the teachers union has called for a strike over pay. Union leader Ibrahim Touré said that around half of the 2,597 teachers there had not been paid the return-to-work grant. Schools have not even started in the northeastern Kidal region, where the National Movement for the Liberation of Azawad (MNLA), a separatist Tuareg rebel group, exerts control. “Here, in fact, schools have been closed since the start of the crisis… Thousands of children are deprived of their right to education,” said Adama Kamissoko, the governor of Kidal. Sixty-seven percent of schools in northern Mali were ransacked during the crisis. The militants occupied around a quarter of the schools in the region. A smaller percentage of school buildings was damaged or destroyed, according to UNICEF. Gao schools were looted the most. The nine-month Islamist occupation wrecked public services, with hospitals, bank services, water and electricity only just resuming in most areas. “I am not scared of the suicide bombers. You know, whether you are in Bamako, Sikasso or Kidal, you may still die,” he told IRIN. GAO, – Mali’s recent conflict has degraded social relations, leading to fears of reprisals among some of the displaced and posing major hurdles to reconciliation, observers say. Mali plunged into chaos with the March 2012 ouster of President Amadou Toumani Touré, which eased the capture of the country’s north by Tuareg separatist rebels, who were later dislodged by heavily armed Islamist militants. Across Mali, many blamed the Tuareg and Arabs for helping the Islamist take-over of the much of the north. When French forces intervened in January to expel the militants, many Tuareg and Arabs were targeted by civilians, and a climate of suspicion engulfed many northern and central towns. Many people said they feared reprisal violence. Ethnic tensions have long existed in Mali, and inter-communal violence has erupted in the past, but an October study by Oxfam revealed that the 2012-2013 conflict frayed social relations more profoundly than previous violence. Beyond the recent conflict, longstanding poverty, corruption, and anger overunderdevelopment, marginalization and injustice in northern Mali are seen as factors undermining social relations, Oxfam said. “In a broader reconciliation process, how does the Malian state devise a process that brings those dissenting voices in?” asked Cockburn. He said many of the study’s respondents expressed a lack of faith in state institutions and showed more confidence in traditional mechanisms of governance. The collapse of social cohesion is visible in the tendency to generalize blame. Sixty percent of respondents who believe that social relations have worsened blamed whole ethnic groups rather than individuals, said Oxfam’s report, which also noted that threats, violence and stigmatization have contributed to the strained relations. “Houses belonging to Arabs and Tuareg suspected to have colluded with the MNLA [the Tuareg National Movement for the Liberation of Azawad] and the MUJAO [Movement for Unity and Jihad in West Africa] were looted. At times, there was no distinguishing whether they collaborated with the rebels or not. As long as you have light skin, you were targeted,” said Youssouf Traoré, who works for the Gao-based Association of Sahel Agricultural Advisors (ACAS), a partner organization of International Organization for Migration (IOM) that supports the tracking of returnees. Mistrust is highest among the displaced, who have undergone the hardships of fleeing and living in refuge. For some, it is not the first time they have been forced from their homes, said Oxfam’s Cockburn. “Cohabiting is difficult. The problem is between those who supported the rebels and those who didn’t,” said Hachimy Maïga, who also works for ACAS. “The occupiers made us… systematically associate light-skinned people with the Islamists,” Maiga said, referring to Arabs and light-skinned Tuareg. “Social relations are not like they were in the past.” He said a man suspected of having collaborated with the Islamists was recently beaten to death at a market in Gao. Nonetheless, since the Islamists were driven away from the main northern cities of Timbuktu, Gao and Kidal, thousands of displaced people have returned home. Some of this was encouraged by the Malian government, which set up a scheme to pay the relocation and resettlement fees of civil servants resuming duty in the north. Between January and September, some 65,000 people returned to the Mopti, Gao, Kidal and Timbuktu areas, according to the IOM. But another 40,000 have moved to southern towns from the north, likely due to the lack of economic opportunities and difficult access to basic services. Insecurity remains a threat to those returning to the north. In late September, suspected militants carried out attacks in Timbuktu and Gao cities, while MNLA fighters briefly clashed with Malian forces in Kidal. Still, many of those returning say they feel that security has improved. But financial difficulties are also complicating relocation, said Stephanie Daviot, manager of IOM’s Displacement Tracking Matrix project. “What we’ve seen also is many went up north, and when they saw that the conditions there [were poor], especially the condition of their houses and farms… they decided to go back south simply because they did not have any means of survival,” said Daviot. Others have returned north after facing economic hardships in the south. Some 4,500 people returned to Gao city from the capital Bamako and other southern regions between August and September, said ACAS’ Traoré. “The first reason they say made them come back is the return of stability. The other is economic difficulty in areas they had gone to seek safety,” he said, citing problems accessing proper housing, education, health and food as well as difficulties adapting to life in refuge. Fatalmoudou Maïga, a mother of five, told IRIN that when she returned to Gao, she found that part of her house had been damaged by bombing and another was occupied by people she did not know. Economic life has also been disrupted, with the departure of many Tuareg and Arabs who were the main traders in the north. ACAS’ Maïga explained that the prices of basic goods – such as tea, dates, sugar, oil and flour – have risen. “The trust between the different groups diminished so people trade less with each other,” said Cockburn. Ibrahim Boubacar Keïta, Mali’s new president, has promised to tackle the causes that led to the overthrow of his predecessor and the capture of the country’s northern half. NIAMEY, – The takeover of northern Mali by Islamist rebels after a 2012 coup, and the subsequent French-led intervention, have widened fears of a spill-over of insurgency in the region. Niger, which has socio-political problems comparable to those of Mali, is battling to secure its territory from militants still operating in Sahel’s remote wilderness. Insecurity is an ever-present threat. The country suffered twin attacks on 23 May, when assailants struck a military base and a French-run uranium mine in the north, killing dozens. Mokhtar Belmokhtar, a prominent and long-time Sahel jihadist who had claimed responsibility for the Algerian gas plant attack in January, said his fighters were behind the strikes. The Movement for Unity and Jihad in West Africa (MUJAO), which had operated in northern Mali before being dislodged by the French military, also claimed responsibility. Niamey has been working to bolster its security strategy. In October 2012, it launched a five-year US$2.5 billion plan to secure and develop its northern region, whose residents, especially the Tuareg, say they have been marginalized. As in neighbouring Mali, the Tuareg in northern Niger have carried out a series of rebellions demanding autonomy, social and political inclusion, and the development of their homeland. The country has also introduced legal reforms, enacting anti-terrorism legislation, setting up a special team of lawyers and security officers to work with the government on terrorism matters, upgrading military hardware, and cooperating with France and the US on security. US drones began operating in Niger in December 2012. Nigerien troops are also being trained by their American and French counterparts. “Niger has shown not only political commitment, but a certain level of coherence in dealing with the threat of terrorism,” David Zounmenou, senior researcher on West Africa at the Institute for Security Studies (ISS), told IRIN. Niger, an impoverished Sahel nation prone to droughts and food scarcity, also faces additional threats from Boko Haram insurgents in Nigeria to the south and from militias in the north suspected to be operating in southern Libya, analysts say. Politically, Niger has worked to improve the inclusion of its Tuareg population to end the cycles of insurgency. During Niger’s 3 August independence day celebration, President Issoufou Mahamadou called for the formation of a national unity government, part of a political cohesion plan he sees as crucial to dealing with the country’s security threats. However, a subsequent cabinet shake-up has cost his ruling coalition the support of its main ally, who quit in protest of the seats it was allocated in the new government set-up. “In terms of security plans, it certainly weakens the national consensus that has prevailed thus far in Niger. Institutional consensus has been the backbone of the response mechanism to offset the spill-over of the insurgency in Mali and to manage successive attacks,” said Zounmenou. But West Africa political analyst Kamissa Camara says the political disagreements have little bearing on Niger’s security worries. “The political fall-out is more indicative of the superficial political arrangements made before the second round of the 2011 presidential elections and the ensuing struggle for influence between two complementary but oxymoronic political figures,” Camara said, referring to the president and Hama Amadou, the leader of his coalition’s main ally. In addition to its security worries, Mahamdou’s government, which came to power in 2011 after a brief period of instability, is struggling to better the lives of citizens, the bulk of whom are living in extreme poverty. The country sits at the bottom of the UN Human Development Index. Although the government is making improvements in sectors such as health, education and agriculture, some 85 percent of Nigeriens survive on less than US$2 a day. Around 2.9 million people currently face food shortages. Natural disasters and recurrent food shortages are greater threats to many Nigeriens than security fears, say analysts. The country recently appealed for help following devastation by floods that have killed two dozen people and left some 75,000 others homeless. Niger has the world’s largest uranium reserves, but receipts from uranium mining have made little impact on the lives of many Nigeriens. And while the country began pumping its first oil in early 2011, it was later was forced to cut back its budget due to poor revenue. The shortfalls could impact Niger’s security budget. “An intense focus on security could affect Niger’s budget spending on other strategic sectors. The defence budget more than doubled in 2012, although it’s still behind the health and education expenditure,” said Jean-Hervé Jezequel, a senior analyst with the International Crisis Group. “The risk is that [expenditure] on social assistance programmes could increasingly be adjusted depending on security concerns, and it is doubtful that this will be to the benefit of the Nigerien population as a whole,” Jezequel told IRIN. When Islamist rebels began advancing on Mali’s capital in January this year, Niger supported the French intervention. It has also sent some 900 soldiers as part of the UN peacekeeping mission in Mali. However, there are concerns that its stance in the Mali crisis and its security cooperation with Western countries could stoke extremist militia threats. “As Islam is dominant in our country, it is easy for these forces of evil to infiltrate Nigerien youths,” noted Zarami Abba Kiari, the ruling party’s deputy spokesman, who argued that the national unity government could forestall such risks. Insurgent groups have used Niger for their cross-border activities in Mali, Nigeria and Libya, and with light government presence in certain regions of Niger, the country risks becoming a safe haven and rear base for militant groups targeting other countries, like Chad and Algeria, that have largely expelled these groups from their territories, ISS reckons. “The structural complexities of Niger, illustrated by its vast desert, its arid territory, and the borders it shares with Algeria, Libya and Chad, are certainly contributing factors to these [security] threats,” Camara told IRIN. Weak governance, underdevelopment and poverty have created a breeding ground for militancy in West Africa and the Sahel, academics argue. “There is need for concrete response to [Niger’s] socio-economic problems. Young people are looking for jobs, effective health care, education… If they are not satisfied, this can provide them with a reason to join jihadist movements,” said ISS’s Zounmenou. GAO, – Despite the victory of Ibrahim Boubacar Keita in Mali’s peaceful presidential elections at the weekend, sporadic violence continues in the north, where for months herders have been cut off from accessing traditional routes in search of pasture for fear of attacks by bandits and rebels. Sporadic attacks continue in Gao, Timbuktu and parts of Kidal, pastoralists told IRIN. Many are also too scared to enter towns which have seen clashes between locals and displaced people who have settled in their outskirts; or they fear rebels might steal their cattle and sheep on market days if they do enter town. The rebels include National Movement for the Liberation of Azawad (MNLA) members, mainly in Kidal, but also in some villages north of Menaka in Gao Region. Elsewhere, locals joined one of several Islamist groups or the separatist Tuareg rebels. “Some Islamists stayed behind in villages and rural areas following the French-led military intervention, hiding in and among the local populations when they were driven out of major towns,” said Capt Traoré with the Malian army in Bamako. Keita will have his work cut out to end the insurgency and bring lasting peace to the north. Herders in Forgho, 25km north of Gao city, and Bourem in Gao Region on the road to Kidal, told IRIN they had been attacked when they left the market on their way back into the desert with their animals. “They [the rebels] would threaten herders in the bush and stop stockbreeders on their way to the market and steal their cattle,” said Aklini Moliomone, a Songhai pastoralist from Forgho. Robberies along the road from Gao to Tessalit in Kidal Region have also risen, according to French army communications officer Cyrille Zimmer. Violence has also broken out between herders in Mali and displaced people or refugees returning from Niger, Burkina Faso and Mauritania, all of whom are also vying for access to scarce grazing land, according to Malian NGO Tassaght, based in Gao. Northern Malian refugees have started to return to Mali from Mbera camp in Mauritania, travelling via Niafunké in Timbuktu Region, to Timbuktu town. “The pastoralists from Burkina Faso who used to cross the border into Mali with their animals were not ready to share the limited resources with the displaced,” explained Wanalher Ag Alwaly with Tassaght in Gao. Last year’s rains meant good pasture throughout much of the north, but many of these herders said they were unable to fully take advantage of it. This year rains arrived late in most of the north – coming two weeks ago – and have so far been weak, thus pasture is minimal, say pastoralists. “There is almost no grass and no water, because there are so many herders in this area and only limited grazing land. We have to walk far to find food for our animals,” said Moliomone. On market day in Forgho, where thousands of herders congregate, 60-year-old herder Moussa Ag Bilal hoped to get a good price for his animals – mostly goats, plus one cow that is so thin that it has stopped producing milk. When a potential buyer approached to inspect the animals, Ag Bilal gently turned it to hide its sticking-out ribs. Afraid of rebels, he told IRIN he is too scared to move his animals to the grazing areas north of Gao. While UN Multidimensional Integrated Stabilization Mission in Mali (MINUSMA) forces and Malian soldiers are posted in most major towns, rural areas are sometimes left unmonitored. According to MINUSMA, in some areas of the region around Menaka, MNLA are still in control, while suspected members of Ansar Dine and the Movement for Unity and Jihad in West Africa (MUJAO) have been spotted in parts of Kidal Region. The road from Gao to Kidal – especially north of Tessalit – has seen an increase in bandit attacks; improvised explosive devices are occasionally used. “Last week a food truck was stopped and the cargo was taken away by rebels,” said MINUSMA spokesperson Michel Bonnardeux in the capital Bamako. Undetonated explosives and arms left behind by the armed groups, and hidden in the terrain, pose another threat to herders and their animals. The tensions just reinforce pastoralists’ plight – many had most of their herd of confiscated by rebels or Islamists, or have had to eat their animals to survive, given the high prices and low availability of food across most of the north since the Islamist occupation. “Many [herders] fled without their animals. Others lost their herds when the rebels attacked their villages. They returned with nothing having lost their only source of income”, said Tassaght’s Ag Alwaly. “The months of May, June and July are always hard for Mali’s herders,” he continued. Most of the animals IRIN came across were frail and very weak, even more so than the same time last year, according to the International Committee of the Red Cross (ICRC). Since January ICRC and the Malian Red Cross distributed roughly 400 tons of animal feed hoping to reach 30,000 herders during the lean season. Tassaght buys meat at above-market value to distribute among families in Gao and nearby villages to boost both livelihoods and food security. According to Gao-based herder Atarouna Abdoulaye, prices for goats and sheep went from US$30 to $6-8 in some markets. The Red Cross also vaccinated two million cattle, sheep, goats, camels and donkeys to help restore their health as the rains approached. Often thin and weakened animals succumb to illness or drowning when the rains arrive, according to Agronomes et Vétérinaires Sans Frontières in Bamako. But between January and July insecurity hampered the ability of NGOs and ICRC to distribute food, seeds, fertilizers and tools in some areas, according to Jean Cimangay, ICRC’s project officer. Tassaght plans to give returning herders small stocks of around 10 animals each, to help them build anew. “Some pastoralists had herds with over 100 animals. Ten goats is not much but at least it’s a start,” said Ag Alwaly. BAMAKO, – There is little discernible economic infrastructure on the 635km drive from Mali’s capital, Bamako, to the central town of Mopti, except for speed bumps and checkpoints wher e local vendors congregate to target vehicles as they slow. Rusted signs and faded banners from international donors dot the scrubland, advertising development projects either long abandoned or never undertaken. It is difficult to reconcile the poverty and dysfunction in Mali with the pre-conflict and pre-coup narrative of development success espoused by multilateral organizations and international NGOs alike. Right up until the ouster of President Amadou Toumani Touré in March 2012, the West African state was a darling of the aid community, lauded for having strung together multiple successful democratic transitions since 1991. But the data tell a different story. At best, aid to Mali has been ineffective from an economic or institutional development perspective, enabling corruption, undermining the government’s will and ability to raise revenue through productive means or taxation, and insulating it from accountability to the population, according to analysts and observers. At worst, these conditions directly led to the conflict in the north and political crisis in Bamako. Mali is one of the poorest countries in sub-Saharan Africa, ranking 182 out of 186 on the 2012 Human Development Index (HDI), 34 out of the 45 countries in sub-Saharan Africa in terms of 2012 GDP purchasing power parity (PPP) per capita, and has a negative real GDP growth rate. As such, the country is heavily dependent on foreign aid, with the Organisation for Economic Co-operation and Development (OECD) estimating in 2008 that donors provided 60 to 80 percent of Mali’s special investment budget. Though the country did achieve substantial GDP growth rates after the 1990s, the failure of that growth to improve the quality of life of most Malians suggests that it was most likely due to currency devaluation and gold exports rather than real economic production, said a working paper of the United Nations University-World Institute for Development Economics Research. Further, anecdotal evidence suggests that aid has become something of a self-perpetuating system in Mali, generating employment while the dollars are turned on, but failing to create the conditions for sustainable economic growth, poverty reduction or institutional development. These economic conditions cannot be attributed to the coup leaders, the separatist Tuareg rebels or Islamist militias; the country has languished at the bottom of the development pile since long before the 2012 coup and even before the HDI was first published in 1990. Mali has fared little better in terms of its political and public sector institutional development. From 2003 to 2011, the country consistently ranked as mediocre in popular perceptions of public sector integrity, and in any given year was worse than at least half of the rest of sub-Saharan Africa. Tellingly, the single largest increase in public confidence, a 21.4 percent improvement, came after the 2012 coup. Further, for every election cycle from 1992 to 2007, Mali largely trailed its Sahel neighbours in voter turnout for both parliamentary and presidential contests. According to a February 2013 Malian opinion poll, the two most frequently cited perceived causes of the country’s various crises were “lack of patriotism among leaders” and “weakness of the state” (31 percent and 16 percent, respectively); a full 76 percent of respondents were unable to name their political representatives. Channelling aid through the government of a country that suffers from endemic corruption at all levels perverts the state’s incentive structure, say analysts. It removes the need for the government to be externally accountable to its outside investors, in this case donors who knowingly participated in corruption. It also internally eliminates the need for the public sector to develop basic governing institutions, which represent the “vital link of accountability between state and citizen,” according to aid expert and author Jonathan Glennie. Without this accountability, citizens are removed from the political process and elites are free to extract and expropriate from the state with abandon, creating the conditions for state failure and conflict. The situation is particularly problematic in the north. At the sub-national and sub-regional level, there have been situations in which aid money has clearly fuelled ethnic conflict in Mali. One prominent example was an ill-fated UN Development Programme project after the 1990s rebellion, where millions of dollars intended for disarmament, demobilization and reintegration of ex-combatants were given disproportionately to one ethnic group, the Ifoghas Tuaregs, and directly used to buy loyalty and consolidate power at the expense of their ethnic rivals, the Imghad Tuaregs. Tracing a causal relationship between aid and conflict at a macro scale is more difficult, but several rigorous studies have confirmed this anecdotal evidence from Mali. The argument is that aid drives conflict in countries that suffer from a low degree of institutional development and a high degree of unchecked executive power, instigating competition for “rents” – non-tax revenues – among elites. This is Mali in a nutshell: disproportionate executive power, bolstered by foreign aid that is channelled primarily through that branch of government at the expense of other institutions, widening the gap between citizenry and leadership and driving competition for the money. Taken together, these data suggest that Mali’s problems are rooted in its institutions and further corroborate what some scholars have already asserted: the coup, Tuareg rebellion, al-Qaeda penetration and corruption of the state were all symptoms of the same basic institutional dysfunction. Nothing has fundamentally changed to address the deficiencies in accountability and oversight, yet over US$4 billion of development aid is poised to come online at the conclusion of the current political transition. At such a critical transition point in Mali’s development, prospective donors would do well to examine new models and priorities for ensuring the effectiveness, sustainability and value of development projects. Certainly not all aid is counterproductive, and this data by no means implicates all humanitarian relief efforts. Emergency disaster response by multilateral organizations and local and international NGOs was critical to mitigating the 2011-2012 Sahel food crisis, for example. But developing strong Malian institutions capable of taking the lead on such a response would ultimately be the most effective and sustainable path to prosperity. DAKAR, – Malians are slowly returning from refuge in neighbouring Burkina Faso, Mauritania and Niger as stability improves more than a year after a military coup and an insurgency shook the West African country. Some 8,148 people who returned on their own were registered between 25 June and 12 July in Mali’s Gao, Mopti and Timbuktu regions. It is the most significant number of returnees since reports emerged of spontaneous returns, said Anouk Desgroseilliers, an information officer with the UN Office for the Coordination of Humanitarian Affairs (OCHA) in Mali. “There are still explosive remnants of war, robberies in some regions as well as a sense of wariness, but the lull in violence over the past three months, and the presence of the army, the authorities and the local administration is encouraging returns,” said Boni Mpaka, OCHA’s deputy head of office in Mali. More than 175,000 Malians are still living in refuge and 353,455 others have been displaced within the country since the outbreak of violence mainly in northern Mali following the March 2012 coup. “We are not encouraging any returns at the moment. But we are assessing the needs the returnees will have,” Desgroseilliers said. Aid groups voice worry about high malnutrition rates in northern Mali’s Gao Region, which they say could worsen with the spontaneous return of refugees. The global acute malnutrition rate is 13.5 percent, slightly below the 15 percent emergency threshold. The country’s elections set for 28 July are also encouraging returns, said Lucien Simba, a humanitarian affairs officer with OCHA in Dakar. “People hope things are going to change.” The authorities have set plans for refugees in neighbouring countries to vote. “Search for pasture, preparation for next year return to school, the upcoming elections, people coming to verify the status of their homes and belongings; there are several reasons why people are gradually moving to Mali,” the Danish Refugee Council (DRC), told IRIN. However, the returnees lack sufficient food, need to be helped in rebuilding their homes and restocking their animals. Children will also need conditions in place a part from safety, teachers and functional schools for returning to school next year. A lot of efforts should be channeled to work on social cohesion and rebuilding resilience capacities at the community level which has been weakened by the unrest, DRC said. BAMAKO, – Malians voted yesterday on 28 July in the first ever polls since a military coup and an insurgency 16 months ago, but complaints of missing voting cards and worries that the elections are rushed marred the run-up to the ballot. Some 6.8 million Malians have been registered to vote. Two days to the poll, electoral officials scrambled to issue voting cards amid complaints of disorganization. Other voters nonetheless looked to the elections hoping they will set the country back on the path to recovery. “Mali has suffered political and military instability these past months,” said Aboubacar Hamidine, a refugee in neighbouring Niger. “I am going to vote to end this instability.”, he said before the voting day. Malian authorities have made plans for refugees in next-door Burkina Faso, Mauritania and Niger to take part in the election. However, only 19,000 registered to vote out of 73,000 refugees of voting age, said the UN refugee agency (UNHCR), which is helping with voting in the camps. The delay in issuing voters cards has affected many within Mali as well. France, which sent troops in January to beat back Islamist militants who threatened to march onto Bamako from Mali’s north, pressed for the vote to be held. Observers have raised concern over the timing of the elections, arguing that while they are important in helping Mali back on its feet, their credibility were as equally critical. A UN peacekeeping force is currently rolling out in Mali, taking up from African troops who have been in the country for some months, but have largely been off the combat scene. Tiébilé Dramé, a former minister and chief negotiator between Mali’s interim government and Tuareg rebels, termed the elections preparations “disastrous”. He withdrew from the presidential race after his attempt to have the courts move the election date was rejected. “Organizing elections without the full participation of the population in the [northern] region of Kidal, and possibly Gao and Timbuktu will only deepen the divide between the north and the south and possibly lead to new rebellions,” he said. “What other country would accept an imperfect vote. If this is only to have an elected government in Bamako, why not wait two, three months until the situation has stabilized,” said Ousmane Maiga, who was displaced from his home in Mali’s northern Gao region and is now living in Bamako. Disgruntled troops overthrew then president Amadu Toumani Touré in March 2012 on charges that his government had failed to tackle a Tuareg rebellion in the north. The coup however, eased the way for the Tuaregs to seize swathes of territory before being ousted by Islamist rebels, some linked to Al-Qaeda, who imposed strict Islamic law during their occupation of the northern half of the country. The violence and insecurity has left more than 175,000 Malians living across the borders and 353,455 others displaced within the country, according to UNHCR. In Mauritania and Burkina Faso only about five percent of the refugees had received voting cards by voting day. “We made lists of all refugees who are eligible to vote and sent them Bamako. Out of 4,161 names on our list, the authorities could only identify 932 people,” said UNHCR’s Charlotte Arnaud. “We were registered in Bamako in 2010 and I should be having my card, but I don’t,” said Ousmane Ag Dalla, the head of Tuareg refugees in Burkina Faso. “Things have been rushed and people are not ready. “Mali is not ready to hold proper elections, but it’s better to do it because we will never be ready as there are so many problems. We from the north are hoping to have a president so that the underlying problems can be tackled by a legitimate president,” he said before the voting day. The Malians expect results on Friday, a week after the vote.. It has come to pass that there is no doubt she is the new Star in her own right, who has found a place for herself nationally and internationally in the world of music. A Self-confident woman who says she knows what she wants and that her heart carries warm feelings and reaches out to everyone. She is Rokia Traore – a true African lady. She charmed a full concert hall in Harstad during her performance. Everyone went home happy and satisfied. 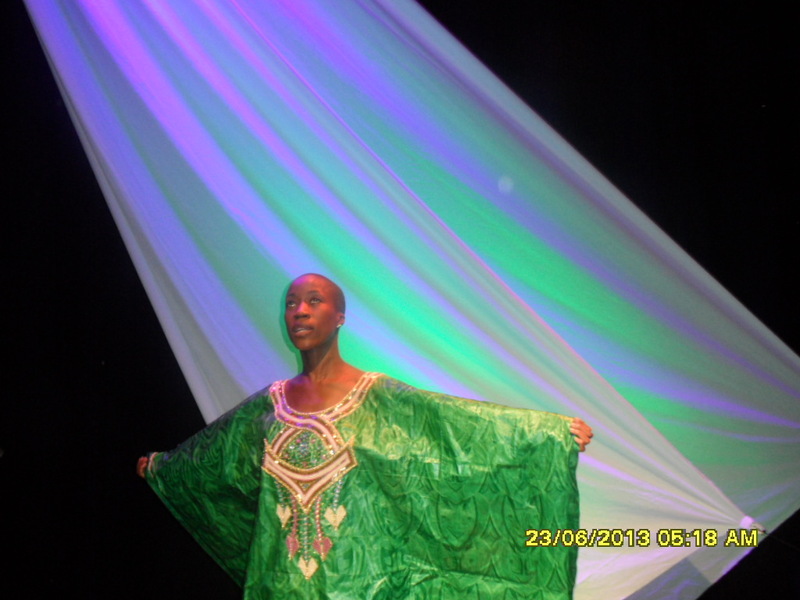 Malian singer Rokia Traorè on Monday the 24th and Tuesday the 25th of June 2013 was the talk of the town during the Arts Festival of North Norway after her thrilling performances. Traorè is a very exciting artist with a clear message in her music. She convinced the festival enthusiasts during her two performances during this year’s Arts Festival of North Norway with her shows Damau/ Dream and Donke/ Dance that she is a talented African Musician. Damau and Dream featured intimate and acoustic setting based on music and lyrics from the Malian storytelling tradition. During this performance, Traorè had two musicians with her on stage. Donke, a dance-based concert highlighted the event. 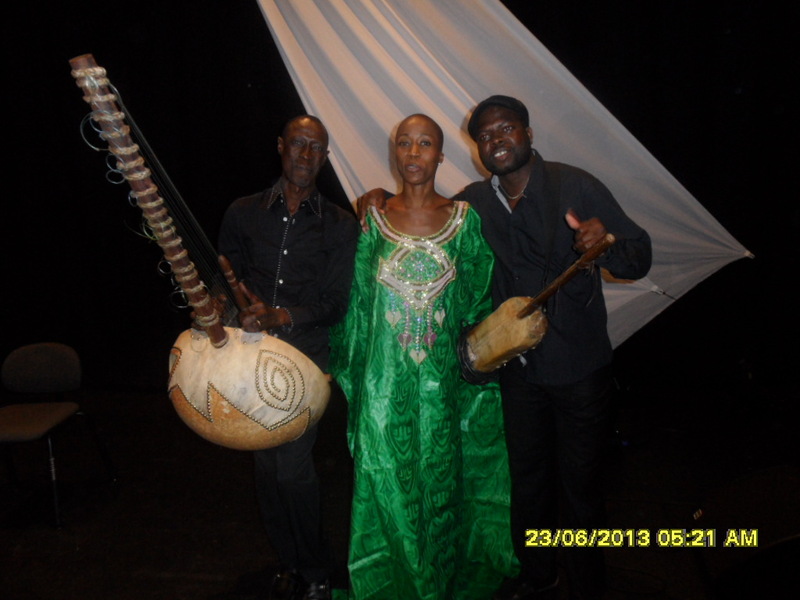 In addition to her vocals, she also played the kora and ngoni instruments. She is one of the most exciting singer and songwriter that the continent of Africa is proud to have. This was her first time to perform during the yearly Arts Festival of North Norway. DAKAR/BAMAKO, – As international donors, notably France and the USA, as well as the Economic Community of West African States, push for July presidential elections in Mali, critics say doing so could foment factionalization in the north thus further destabilizing it, threaten ongoing negotiations over Kidal town, and hamper reconciliation and dialogue. IRIN spoke to analysts, citizen activists and would-be voters to glean their views. It is clear why certain outsiders are pushing for elections, said Jamie Bouverie in Africa Report: France needs to put in place a legitimate authority to enable it to declare the Mali problem over; the US requires a democratically elected authority to restart its aid and investments; and the UN requires a legitimate partner for MINUSMA, its stabilization mission. But while all agree that elections are needed, many say rushing them will further destabilize Mali. Inter-communal violence, suicide attacks and roadside bombs recur in the north, while France plans to bring its troop count down to 1,000 (from 4,000 in April) by election month, creating a security vacuum, some say. While MINUSMA is set to fully deploy in July it will take time to establish itself. The Kidal question remains controversial: Malian troops this week wrested control of Anefis, midway between Gao and Kidal town, as part of a military offensive that is assumed to aim to take back Kidal Region from the MNLA. This offensive will have stymied the Burkina Faso-led negotiations currently under way between members of the MNLA, the High Council of Azawad (formerly of MNLA and then Ansar Dine) and the Malian authorities. One problem is that while the Bamako political landscape has changed a bit since the March 2012 military coup, newcomers have by and large not shown any more concern for addressing the country’s core problems than their predecessors, said Guichaoua. “The godfathers of Malian politics are still in the game – there are no game-changers there,” he told IRIN. Elections must be a beginning not an end, he added. If they are rushed, then after them, the problems of alienation in the north, the collapse of the Malian state, an inability to provide quality basic services such as health and education, and impunity for abuses that took place both recently and in previous conflicts over the north, will all persist. But the Commission for Dialogue and Reconciliation (already set up) has yet to gain momentum, and its mandate is overly broad, said Guichaoua. Further, several communities, including the Bella and those represented byCOREN (a northern Malian group calling for unity amid rebellion) do not recognize it. One risk is that, once elected, no politician will want to adopt a transformative agenda that might destabilize their hold on power, he said. The general feeling among many southern Malians is that they are tired of Tuareg rebellions, and have little appetite for further reconciliation moves, said University of Ghent history lecturer Baz Lecocq. Election supporters say elections are the only way to restore some sort of legitimacy for Mali. “Elections will not solve everything… but not having a democratic process will not make it any easier,” said Chatham House’s Melly. Elected officials have long struggled with legitimacy in Mali – both in the south and the north, where only 40 percent of the electorate on average turns out to vote, said Gregory Mann, lecturer in African studies at Columbia University in a blog conversation with academics and Mali experts Bruce Whitehouse, Baz Lecocq and Bruce Hall. And this support for politicians grows weaker still when the state is unable to deliver basic services. “We tend to think of this as a problem between Bamako and Kidal… but what seems much more problematic for the future is the fact that the health service collapsed, that the state completely delegitimized itself, and its infrastructure was destroyed in 2012,” said Bruce Hall, who lectures on African history at Duke University in the USA. International diplomats and local authorities should be wary of partial credibility, said Guichaoua. “Either you are legitimate or you are not… What if a candidate who has lost, tries to inflame the situation and argue elections have been manipulated or rigged. You need something serious if you don’t want to pay the price afterward. Putting questions of security and sustainable peace aside, no one can agree if it is even feasible to hold elections in July. It is not an ideal month, given the start of the Ramadan fast, and the rains which will prevent many rural voters from participating – something that could lead northern pastoralists not to see the elections as legitimate. “Even under the best of circumstances, July is a terrible time for elections in Mali,” said Baz Lecocq. Much of the voting in villages in the north takes place through mobile voting booths, which would probably be blocked by the rains. “If you want low voter turnout, organize elections in July,” he said, noting that July elections in the past have led to low voter turnout. Figuring out a way to enable the 174,129 refugees in Burkina Faso, Niger and Mauritania to vote is crucial, said Guichaoua, not to mention the many unregistered refugees who are getting by in capital cities such as Ouagadougou, Niamey and Nouakchott. “How do you identify these people?” he asked. The UN Refugee Agency (UNHCR) will allow the Malian authorities to conduct voter registration in the camps on a voluntary basis, it said in a communiqué. Gal Siaka Sangaré, a member of the government’s General Office on Elections (DGE), told IRIN they are making progress towards biometric voter registration despite some technical glitches. “We have to respect the 28 July date and pray to God that it all works out,” he said. JOHANNESBURG, – A newly sanctioned African Union (AU) force for quick deployment in conflicts such as in Mali is being promoted as a stop-gap measure ahead of the planned formation of the “rapid deployment capability” (RDC) African Standby Force (ASF). Unlike the ASF, which will also have policing and civilian duties, the African Immediate Crisis Response Capacity (AICRC) force will have “a strictly military capacity with high reactivity to respond swiftly to emergency situations upon political decisions to intervene in conflict situations within the continent,” Nkosazana Dlamini-Zuma, chairperson of the AU Commission, said in her recent report to the AU summit in Addis Ababa. While the AU’s failure to resolve crises in countries like Côte d’Ivoire, Libya and Mali has been a source of embarrassment to the continent-wide body, the AU Mission to Somalia (AMISOM) is widely regarded as a success, with the annual US$500 million running costs bankrolled by international partners. AMISOM provides “pride” for the AU, according to analysts, as African forces at the cost of significant lives (some estimates say thousands), were able to achieve what a far better equipped US force failed to do in Somalia – bring about an opportunity for peace. Dlamini-Zuma said in her report Mali was a spur for the AICRC’s formation and it was “obvious” an African military force with an RDC would have meant the French military intervention would not have been “the only recourse”. According to Dlamini-Zuma, the AICRC will be drawn from a “reservoir of 5,000 troops, with operational modules in the form of tactical battle groups of 1,500 personnel that can be deployed rapidly… which must have a minimum initial self-sustainment period of 30 days”. The report said the AICRC would have three tactical battle groups, comprised of three infantry battalions of 850 troops each, an artillery support group and light armour elements, as well as an air wing of 400 troops, which would include strike aircraft and helicopters and logistical support, including strategic airlift capabilities. The unit would have a “10-day notice of movement”. The force headquarters will have a nucleus of 50 staff and AICRC duties would range from “stabilization, peace enforcement and intervention missions; neutralization of terrorist groups, other cross-border criminal entities, armed rebellions; and emergency assistance to Member States within the framework of the principle of non-indifference for protection of civilians,” Dlamini-Zuma’s report said. Lamamra Ramtane, AU commissioner for peace and security, said in astatement that troop contributions to the AICRC would be on a voluntary basis by member states and those countries participating would finance the AICRC so it could “act independently”. The ASF mandate under the Constitutive Act of the AU adopted in 2000, is a complete break from its predecessor, the Organisation of African Unity, which adopted a philosophy of non-interference in member states. The Act gave the AU both the right to intervene in a crisis, and an obligation to do so “in respect of grave circumstances, namely: war crimes, genocide and crimes against humanity”. Clayson Monyela, spokesperson for the South Africa foreign affairs department, told IRIN the AU remained committed to the ASF, and although any AICRC deployment was conditional on a government’s invitation, “there may be exceptional circumstances” where the force could intervene in the absence of such a request. Outside of AU and UN missions, African military operations have favoured ad hoc forces, such as the four-country force ranged against Joseph Kony’sLord Resistance Army (LRA). The AICRC is framed as a “temporary arrangement”, the ISS’s Dersso said, but “once it gets a life it may take a different course altogether, depending on its success,” and may evolve from an ad hoc force into a “fully fledged unit” at the disposal of the AU. Some analysts have argued that a functioning, efficient and well equipped ASF may still lack the capacity to simultaneously operate in places like South Sudan, the Sahel and the Democratic Republic of Congo (DRC). If and when the ASF eventually materializes, troop contributions to the five stand-by brigades will be based on Africa’s five regional economic blocs with each supplying about 5,000 troops, 720 police officers and 60 civilian members (e.g. human rights advisers, political affairs and public information officers) – and each regional bloc’s brigade will be placed on a six month rotational standby every two years to be available for rapid deployments. The ASF will fulfil a range of functions, for example, supplying troops for attachment to a regional military, political or UN mission; or it may deploy a regional peacekeeping force within a 30-day timeframe, or 14 days in “grave circumstances”, such as genocide. Drivers of conflict cited by the report included: the fact that “many states were trapped somewhere in between autocracy and democracy;” the “bad-neighbourhood” syndrome resulting in the effects of conflict spilling across borders; and post-conflict states lapsing back into “repeat violence”. The imminent deployment of a 3,000-strong “robust, highly mobile”intervention force – comprising troops from Malawi, South Africa and Tanzania – under the masthead of SADCBrig (Southern African Development Community Brigade) to “neutralize” armed groups in the eastern DRC under UN Resolution 2098 has a stronger resemblance to the AICRC’s mandate rather than to the ASF’s, as it will comprise a combat force without any civilian or policing appendages. However, deployment of the intervention force in DRC is being delayed by a combination of factors, including an increasing scarcity of available heavy air lift aircraft, and a paucity of landing strips capable of handling them, Helmoed-Romer Heitman, a senior correspondent for Jane’s Defence Weekly, told IRIN. “How do you deploy quickly if you don’t have heavy airlift?” he asked. African militaries were chartering aircraft “as usual”, but relied on former Soviet logistical aircraft, such as Antonovs, which were becoming obsolete, he said. South Africa ordered eight Airbus military A400m transport aircraft in 2005 at a cost of about US$1 billion, but later cancelled the order citing financial constraints and associated cost increases, and was reimbursed the $407 million down-payment in December 2011 by the European aircraft manufacturer. The transport aircraft were expected to enter service in 2013. Heitman also questioned how the AU defined the concept of “quick reaction”, alluding to recent events in Bangui, the capital of the Central Africa Republic (CAR), that saw the botched deployment of South African troops in support of CAR President Francois Bozizé. Thirteen South African troops were killed and two others died from wounds on their return. “A lot can happen in 48 hours. Putting a paratroop battalion on the ground in 24 hours is a quick reaction,” he said.